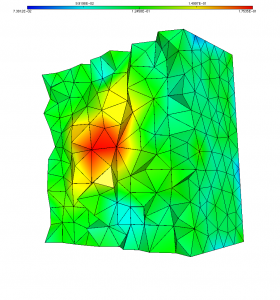 The mmg3d application allows to improve the quality of an input mesh while keeping the mean edge lenghts of the mesh. 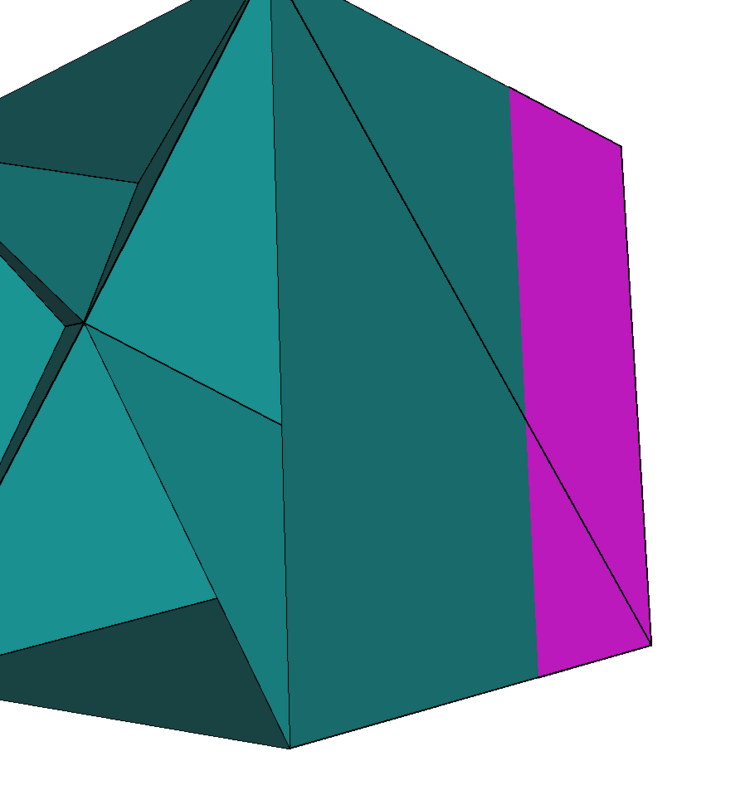 We consider the initial cube mesh displayed figure 1 and named cube.mesh. This mesh is provided without any associated sizemap. To improve your mesh quality while keeping the mean edge sizes, you just need to run the application using the -optim option. the -out option allows to choose the ouput file name. 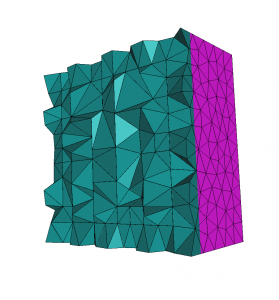 the -optim option enable the mesh improvement with mean edge length preservation. More infos about the -optim option. We obtain a mesh named optimMesh.mesh and the size map computed to preserve the edge sizes (see figure 2). This sizemap is saved in the optimMesh.sol file. Figure 2: Final cube mesh using the -optim option and computed size map. 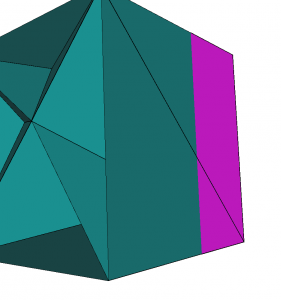 We obtain the cube.o.mesh mesh displayed figure 3. As the approximation of the cube boundaries is exact, the remesher can coarse the mesh. Figure 3: Default output mesh.